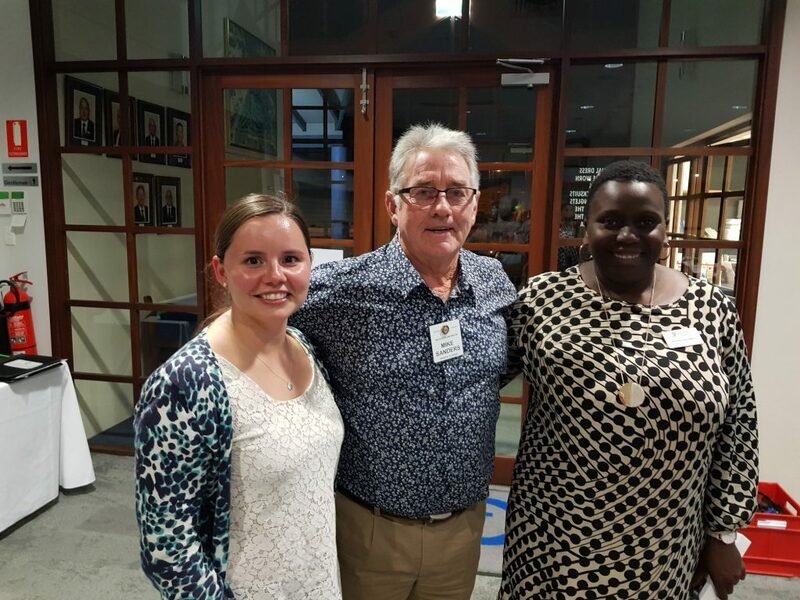 Our guest speakers last night were Kwanele Ndlovu and Jessica Soulsby from UWA. They were formerly introduced by host Mike Sanders. Jessica spoke with a passion about a new initiative started at UWA called Young Lives Matter Foundation UWA. This ambitious youth suicide prevention initiative is focused on increasing effectiveness at predicting the risk of suicidal behaviour through the creation of a Developmental Vulnerability Index. From the outset it was clear that this increasingly complex problem would require a cross-disciplinary approach. UWA has assembled a team of world-leading experts in mental health and allied fields who have committed to advancing this project. This team leverages UWA’s diversity of expertise across relevant disciplines including clinical, medical, indigenous knowledge, psychology, social sciences and mathematics. Each of UWA’s four faculties is involved in addition to the School of Indigenous Studies. Kwanele introduced us to HARP which is a program aimed at helping elderly people ease into coping with skills as we all get older. The Healthy Ageing Research Program (HARP): an ongoing and intensive study of older adults. One of the primary approaches has been the identification of novel measures of cognitive and behavioural coping skills that show promise for improving individuals’ ability to remain independent in their own home for as long as possible. These specific cognitive skills include the ability to remember to carry out an intention at the right time in the future (such as remembering to take medication with food – a skill called prospective memory). Awareness of one’s memory abilities is vital, since we only implement coping strategies when we recognize there is a problem with which to cope. From experience, these skills have been inadequately studied in both research labs and clinical practice. HARP aims to address this important gap.